Lupa K9 was created to provide dog owners with the insight and guidance they need with care and compassion in order to achieve the results they want. It’s not easy balancing a busy life while living with a dog that is out of control, showing signs of aggression, or [Insert your dog’s unwanted behavior here]. I know first hand how stressful life can be when you have a dog that exhibits unpleasant behaviors. 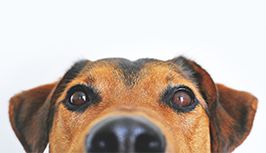 It’s easy to let your frustrations and hopelessness get the best of you and unfortunately, behaviors like excessive barking, aggression, anxiety, and other fear-based behaviors often lead owners to give up the dog or worse put them down. But there is hope! With structure, leadership, communication and consistency paired with the proper tools and methods even the most troubled dogs can live balanced happy lives. That’s where I come in! 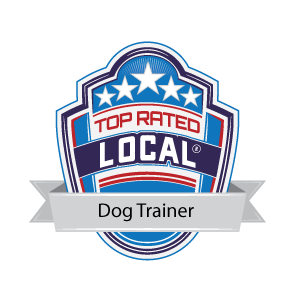 I provide dog owners with a one-on-one hands-on training experience that involves the owners every step of the way. I have found that involving owners throughout the entire process helps build a strong and lasting relationship with their dog and, as a bonus, they get to witness the fruits of their labor unfold each day! I care deeply about every family I work with because I have been there and I know how challenging the process can be but also how rewarding it is to see your dog transform into a calm, happy and confident dog. So, how does this transformation happen? I’m glad you asked. Understandably, most owners struggling with behaviors such as aggression, resource guarding, leash pulling, etc. want a quick fix. However, these behaviors are often symptoms that stem from greater unseen issues like anxiety, fear and stress and can take some time to work through. Does this mean you won’t see fast results? No! By approaching these behaviors holistically we can tap into the mental state of your dog by using obedience in a functional way to make you more relevant in his life, change the choices your dog makes and teach him other alternative solutions when confronted with a trigger or stressor. My dog training methods utilize a holistic approach that targets your specific dog’s motivations through a consistent balance of rewards and corrections. This balanced approach to dog training creates clear consistent communication, structure, and leadership between you and your dog and allows you to paint a clear picture of what behaviors are appropriate and what behaviors are not. It’s mind-body work at its best! By systematically and consistently using obedience we can actively work on creating a calmer state of mind and body and uncover his true potential in a transformative way! What would training look like? My goal is to empower families to achieve long-term success, build a stronger and healthier bond with their dog and bring fun and joy to the training process! Together we will create a tailored training plan that will teach you how to implement the tools, techniques, and lifestyle changes on your own so you will not be left in the dark when our training sessions end. However, your participation does not end when I walk out the door. The key to creating a healthy relationship with your dog is by understanding that your behavior will have to change too! Everything you do has an effect on your dog, and your actions can reinforce bad behaviors without even realizing it. Training a dog with serious behavior issues is a lifestyle change. I know it sounds overwhelming, but the changes are often small. And when these changes are applied consistently they will drastically change your life and your dog’s life for the better. My goal is to help bring peace and harmony back into your life and to make the process clear and fun for both you and your dog. It will take some work, tough love, consistency, and change, but if you implement positive change now, you and your dog can live an enjoyable and stress-free life! If you’re ready to create a more balanced life for you and your dog, I’m ready for ya! Please check out my Services to learn more about what training programs I offer!